If you have any amount and type of unprocessed, natural condition, raw, mined gold, most likely you are asking your self how much would a gold buyer such as me pay for it. In this article, I will explain how I make my cash offers when making such acquisitions. 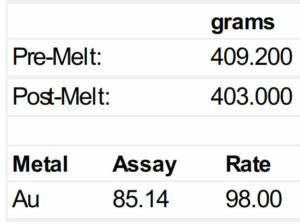 There are a lot of variables in raw gold samples. Thus, there is an art and science to doing it. To be effective at this, it is necessary to be well learned and experienced. On top of that, there needs to be sufficient error margin latitude to both pay as much as possible, and still be safe. The offer needs to be such that if the outcome is of lower than expected, it is still profitable. However, the offer also needs to be such that it is better than most competition. Natural state, raw, unprocessed condition gold is never pure. It is a naturally occurring gold-bearing alloy. As explained in my other articles in this site, a reasonable expectation for a raw gold sample is for it to be of 18K / 75% / 750 parts per thousand in fineness. Learn more. 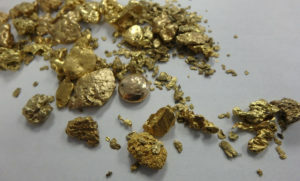 Unprocessed, natural state condition gold bearing alloys, such nuggets, flakes, dust, etc, are never 100% mineral clean. Basically, in raw gold, there is always some dirt. More clearly explained, in addition to metal (gold-bearing alloy), there are all kinds of non-metal elements present (dirt). For example, in the case of very clean gold dust, removing any more dirt without refining typically will lead to loss of gold particles. As a gold buyer, I only buy karat gold. I am not a miner, so I don’t by gold ore. So how much gold is in a gold ore sample is not part of this article. 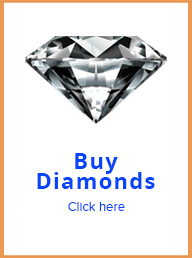 With all this in mind, below is how I make cash offers for unprocessed gold. 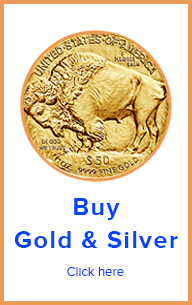 It takes a lot of experience and study to be effective at buying unprocessed gold. Keep this in mind. I inspect the natural state gold presented. In addition to making sure it looks, and feels, like gold, I also consider how much dirt is in there. If the material is very clean, given my experience, I assume that even if it is not visible, there is still a certain amount of dirt. Awesomely clean samples often have at least around 3% dirt present, which is not visible to the naked eye. I estimate how fine the gold is. This is mostly based on experience. Color is not a good indicator. For example, a raw gold sample with for iron traces will look much darker than one with none. A very realistic expectation is that the material is not much better than 18K. 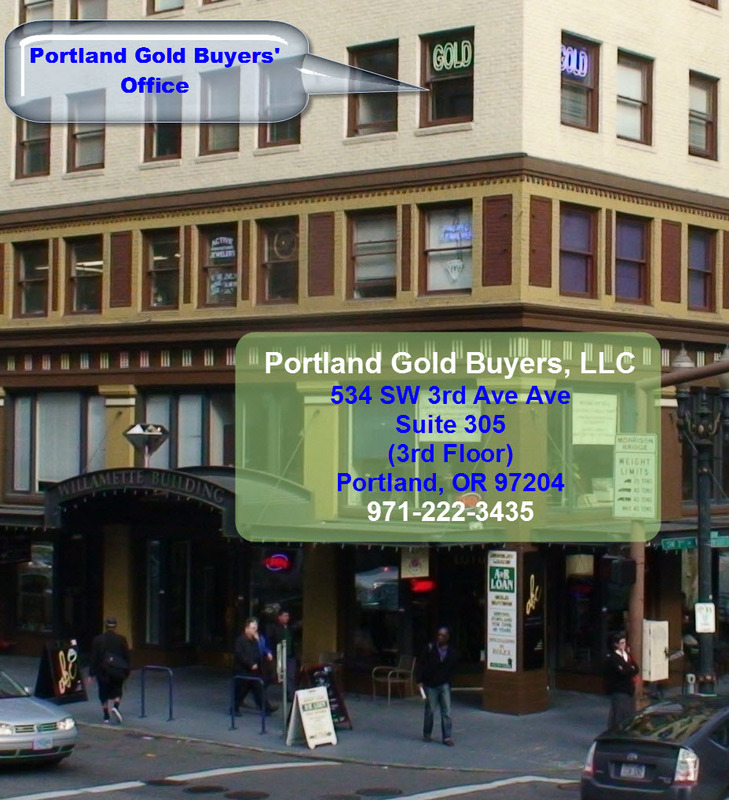 That is a good starting point for bidding on gold nuggets, gold flakes, gold dust, etc. Of course, some raw gold can get to up to 23K pure, but that is hard to determine without scientific methods. I estimate my nominal fineness. Based on the above, I make my offer based on the fineness I am expecting and how clean it is. I will call this my “nominal” fineness estimate. So, based on this estimate, for example, I will offer will gold price for 18K if I think the gold is of 18K fineness, and it is clean. For example, I may offer 22K, or 20K, or include a discount allowance when there is a lot of mineral (dirt) in the sample. Based on my nominal gold fineness estimate, and how much dirt is present, I will have an expectation of my “effective” gold fineness result. Here is the reason. If I offer 18K for the whole mass, which includes dirt, I am basically paying gold price for the included dirt. After discounting for the dirt, I am getting the same dollar figure for the same mass of clean gold. Since the amount paid remains, but the mass is smaller, I am paying the same, but getting less. Thus, I am paying more for the same fineness. Another way to see it is, I am paying as if the material is of a higher fineness. Thus, my “effective” result payment is of higher fineness than the “nominal” payment. For example, if I pay on a nominal 18K fineness price for a raw gold sample of, let us say, 10 grams, and the after melt weight is 9 grams and 20K in fineness, I have actually paid for an effective fineness of 20K since there was a mass loss of 1 gram. Mass Loss: 6.2 grams, 2%. As you can see, by offering for this un-processed gold lot my estimate of 19K (79%) fineness, I was able to make a safe offer and still make a top dollar offer. I even came a little bit better than expected, because the lot ended up yielding 20.4 karat, which is just over 19K better than my offer. In addition, had it worked opposite, it is very unlikely that the lot would have come at less than 18K (75%) fineness, which is just a little below my offer, but within expectations. 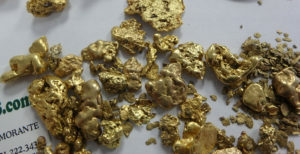 Effectively buying gold nuggets, flakes and dust is part art and part science. Thus, since there is no specific cookbook process, plenty of experiences is needed. Raw gold is rarely below 18K in fineness, and rarely above 22K in fineness. An important consideration is how much dirt is in the gold sample. Color is not a good fineness indicator. To make the best possible offer for the raw gold lot, offer such that there some latitude for lower than expected fineness, and also not too much latitude for higher than expected fineness.